This lovely arrangement is in the darker hues but will surely brighten that special persons day! 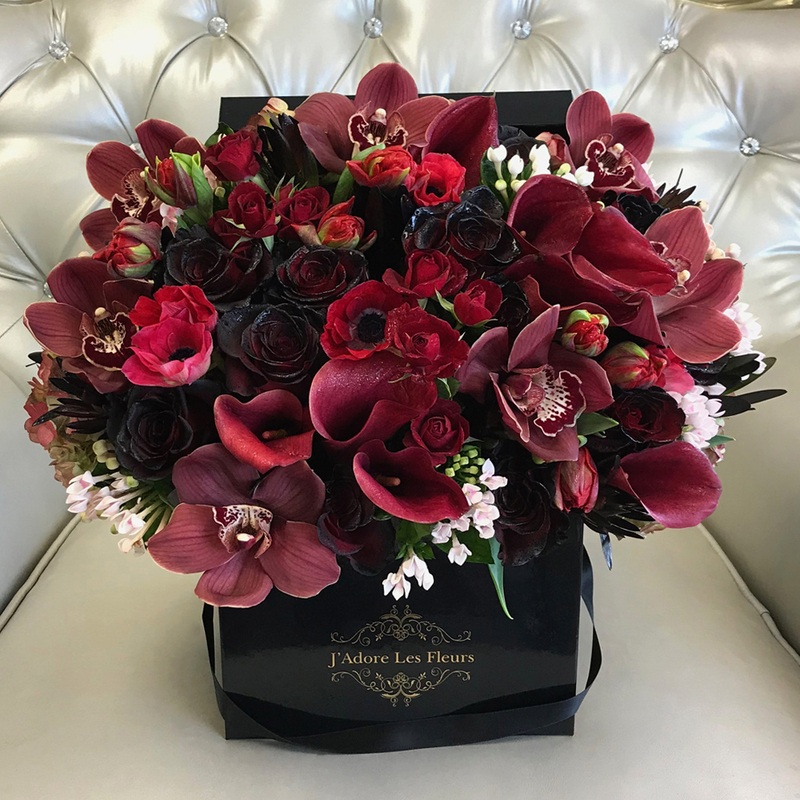 Arranged with dark velvet roses, red spray roses, bouvardia, deep red calla lilies, anemone and beautiful exotic burgundy cymbidium orchids. The arrangement in the photo is in the medium size box.